Jonathan Franzen's work raises major questions about the possibilities of contemporary fiction: How does one appeal to a broad mass of mainstream readers, on the one hand, while persuading connoisseurs, on the other, that one's fiction has is high art? Even more acutely, how did Franzen move from the rage that animates his first two novels to the more generous comic stance of the two later novels on which his reputation rests? 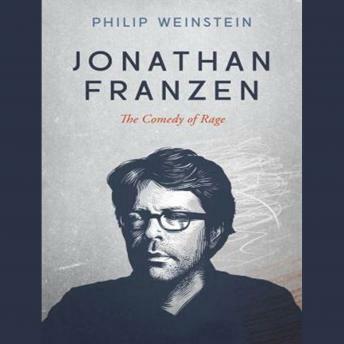 Wrestling with these questions, Jonathan Franzen: The Comedy of Rage unpacks the becoming of Franzen as a person and a writer-from his ultra-sensitive Midwestern childhood, through his heady years at Swarthmore College, his marriage, and the alienating decade of the 1990s, up to his spectacular ascent and assimilation into pop-culture as one of the literary figures of his generation. Philip Weinstein joins biography and criticism in ways that fully respect their differences but also grant that the work comes, however unpredictably, out of the life.